Can I just say that this will never, ever, ever get old!!!! Well, it won't. 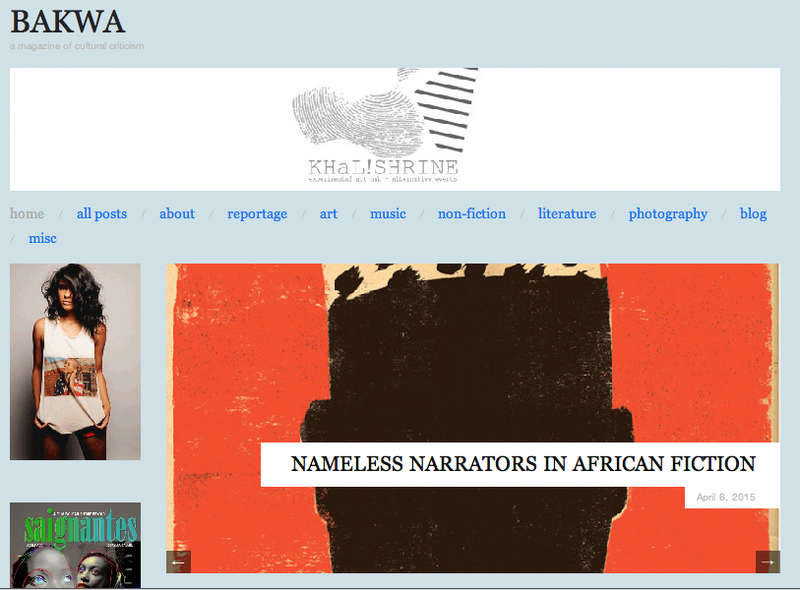 Around this time last month, Bakwa Magazine got in touch to see if I was interested in writing a short piece on nameless narrators in African fiction - following The New Yorker piece on "The Rise of the Nameless Narrator". Obviously, I jumped at the opportunity - I love Bakwa. Well, on Monday - April 6th 2015 - the article, "Nameless Narrators in African Fiction", was published. I'm so excited!!! "In the beginning of March, The New Yorker published “The Rise of the Nameless Narrator”, in which Sam Sacks explores how in recent years novelists have not been “naming their creations.” He lists “an epidemic of namelessness” already published in 2015 from Tom McCarthy’s Satin Island to Alejandro Zambra’s My Documents; goes into the world of fairy tales withSleeping Beauty and The Little Mermaid and of course, mentions some of the most memorable unnamed characters in literature— Dostoevsky’s Underground Man and Ellison’s Invisible Man. As a lover of African literature, I was extremely excited to see two literary works by African authors mentioned in this article— Teju Cole’s (2007) semi-autobiographical novella Every Day Is for the Thief and Dinaw Mengestu’s (2014) “fiction of exile” All Our Names. 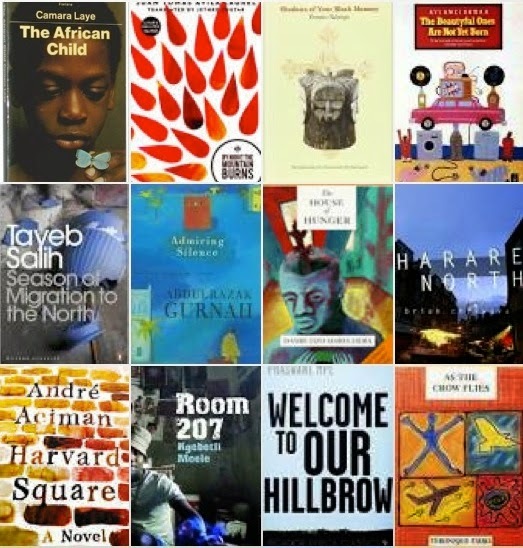 Well, if you are curious about what other nameless narrators can be found in African literature, here’s a look at some of them." Nameless narrators in African fiction. PS. Following the publication of the article, Ikhide Ikheola tweeted another novel to add to the list of nameless narrators in African fiction - E C Osundu's The House is Not For Sale. PPS. By Night the Mountain Burns was published in 2014 (not 2004 as found in the article).